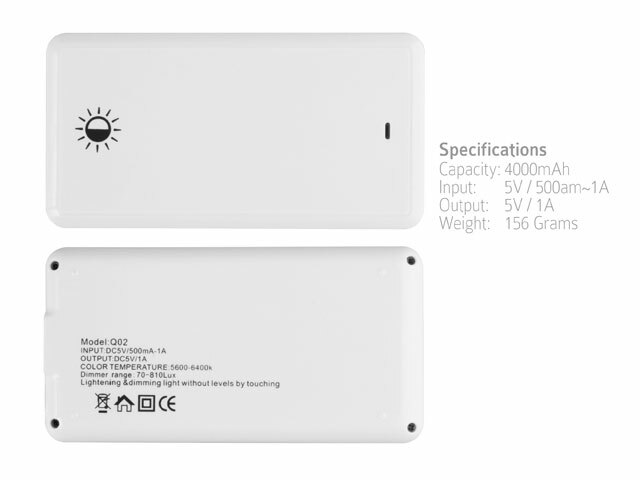 Travel Light Power Bank 4000mAh is not only a power bank, but also a LED light (810 Lux). 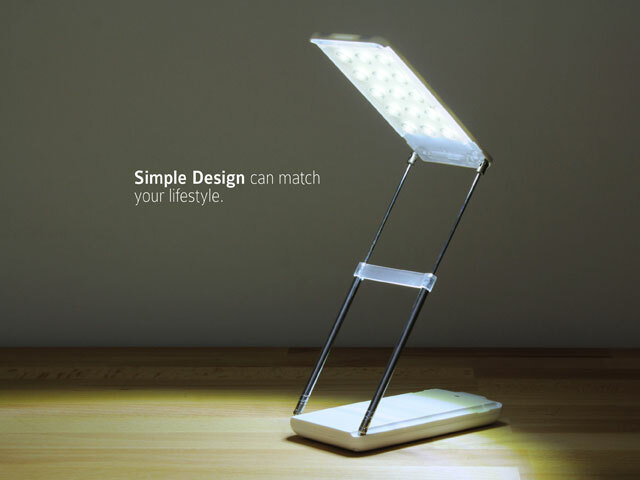 Built-in a dimmer switch that allows you to make an LED light brighter or less bright. 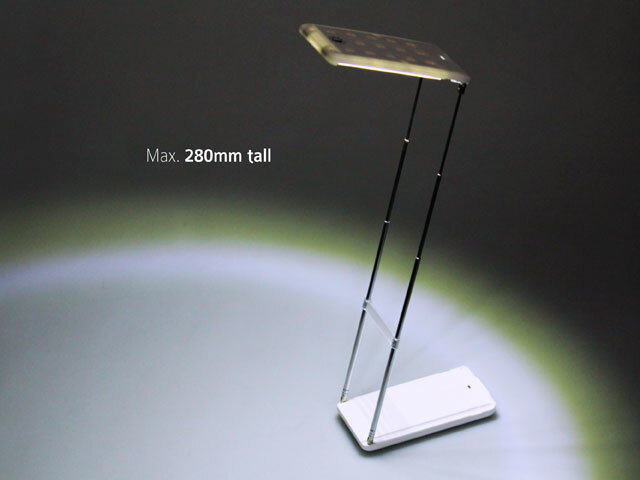 LED arm extend maximum 28cm tall. Convenient to use. 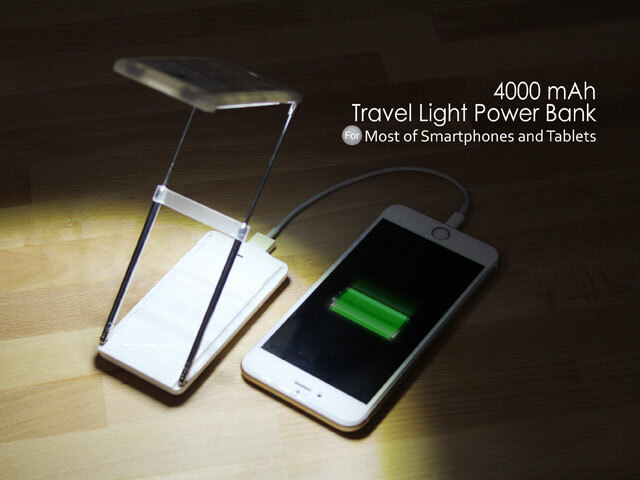 The Travel Light Power Bank in 4000mAh! 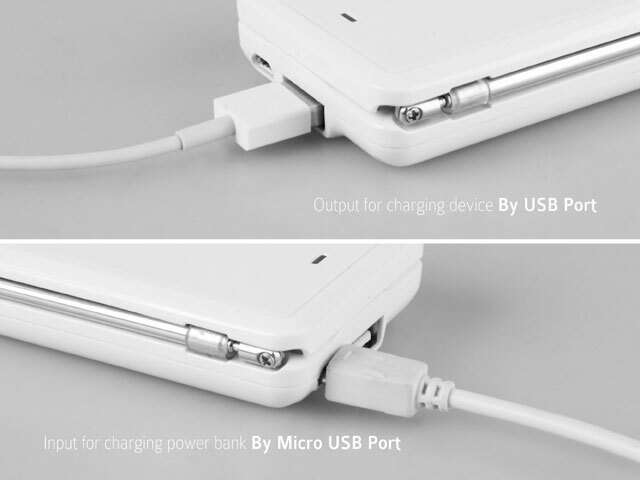 Power Up your iPhone, Smartphone, PSP, NDS, MP3, PMP and any other applicable devices! It is compact and portable that ideal for travelers too!